Etienne Business Solutions (EBS), is a full-service accounting and business consulting firm in Conyers, Georgia. Our services are tailored to meet the needs of each client, from small to mid- size businesses, non-profit organizations, to individuals who need tax preparation and year-round tax planning. Our mission is to help our clients obtain their financial goals by providing premium service in a creative, contemporary and confidential manner. We are experienced in all matters of accounting and taxation, IRS problem resolution, business formation, and business and personal financial advising. Your company’s growth, profitability and long-term survival depend on timely and sound business decisions. EBS covers all the bases by combining experience, education, creative thinking and proven management skills to assist clients in making confident decisions to improve operational performance. 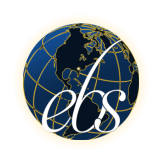 Whether you are an entrepreneur just starting out or an established business, EBS can help you and your organization move to the next level. We make a strong commitment to our clients and have a vested interest in their success. Understanding the many pitfalls experienced by small businesses, EBS commits to provide preemptive financial and business planning and to demonstrate that reliable and competent professional services can be accessed without the prohibitive price tag. Our value-added services enhance profitability and keep businesses in full regulatory and statutory compliance as we strive to be the chosen solution for all business challenges. 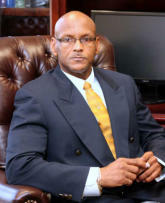 David Etienne, Founder & CEO BSc, MSc, PMP, CA, CPA As owner and chief executive officer of Etienne Business Solutions (EBS), David brings 25 years of accounting, financial management, new business development, and business and project management experience to his clients. He holds a Bachelor of Science degree in management, and a Master of Science degree in accounting from the University of the West Indies. His subsequent scholastic achievements were, certifying as a Project Management Professional, attaining the designation of Chartered Accountant, and qualifying as a Certified Public Accountant. David has worked in public accounting and the insurance industry, lectured in management, accounting, economics, and statistics at universities and colleges, with experience in the development of for-profit and non- profit businesses. His professional repertoire also includes accounting and financial management positions on projects with several multinational organizations including the Inter-American Development Bank (IADB), the World Trade Organization (WTO), the Canada Institutional Development Agency (CIDA), and the Caribbean Development Bank (CDB). David holds the view that the small business sector has a major role to play in the process of economic recovery, and that micro-businesses are being relied on to stand up and be counted. He also opines that this sector is quite often not strategically empowered to be that catalyst of change. He resolves to make available to this group of entrepreneurs, the necessary expertise, competence, and integrity that their businesses need and deserve. David is a member of the American Institute of Certified Public Accountants, the Georgia Society of CPAs, the Project Management Institute, and the Institute of Chartered Accountants of Jamaica. Etienne Business Solutions (EBS), is a full-service accounting and business consulting firm in Conyers, Georgia. Our services are tailored to meet the needs of each client, from small to mid-size businesses, non-profit organizations, to individuals who need tax preparation and year- round tax planning. Our mission is to help our clients obtain their financial goals by providing premium service in a creative, contemporary and confidential manner. We are experienced in all matters of accounting and taxation, IRS problem resolution, business formation, and business and personal financial advising. Your company’s growth, profitability and long-term survival depend on timely and sound business decisions. EBS covers all the bases by combining experience, education, creative thinking and proven management skills to assist clients in making confident decisions to improve operational performance. Whether you are an entrepreneur just starting out or an established business, EBS can help you and your organization move to the next level. We make a strong commitment to our clients and have a vested interest in their success. Understanding the many pitfalls experienced by small businesses, EBS commits to provide preemptive financial and business planning and to demonstrate that reliable and competent professional services can be accessed without the prohibitive price tag. Our value-added services enhance profitability and keep businesses in full regulatory and statutory compliance as we strive to be the chosen solution for all business challenges. David Etienne, Founder & CEO BSc, MSc, PMP, CA, CPA As owner and chief executive officer of Etienne Business Solutions (EBS), David brings 25 years of accounting, financial management, new business development, and business and project management experience to his clients. He holds a Bachelor of Science degree in management, and a Master of Science degree in accounting from the University of the West Indies. His subsequent scholastic achievements were, certifying as a Project Management Professional, attaining the designation of Chartered Accountant, and qualifying as a Certified Public Accountant. David has worked in public accounting and the insurance industry, lectured in management, accounting, economics, and statistics at universities and colleges, with experience in the development of for- profit and non-profit businesses. His professional repertoire also includes accounting and financial management positions on projects with several multinational organizations including the Inter-American Development Bank (IADB), the World Trade Organization (WTO), the Canada Institutional Development Agency (CIDA), and the Caribbean Development Bank (CDB). David holds the view that the small business sector has a major role to play in the process of economic recovery, and that micro- businesses are being relied on to stand up and be counted. He also opines that this sector is quite often not strategically empowered to be that catalyst of change. He resolves to make available to this group of entrepreneurs, the necessary expertise, competence, and integrity that their businesses need and deserve. David is a member of the American Institute of Certified Public Accountants, the Georgia Society of CPAs, the Project Management Institute, and the Institute of Chartered Accountants of Jamaica.